We are pleased to offer eMedia CS2 ID card printing software as a powerful and easy to use solution. 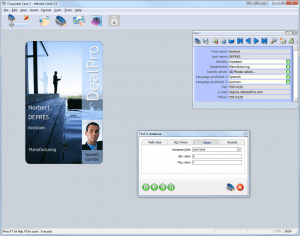 The Windows-based software is an integrated application that allows you to design and print plastic cards on any card printer within minutes. In design mode, the card template can be created and edited. 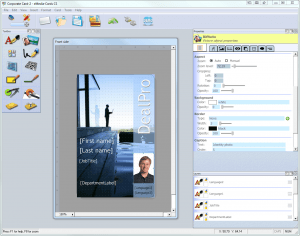 This mode is used by the card creator and allows them to design a card which incorporates all the images, text and functions that might be required. Click the image for a larger pop out version. The operating mode allows the user to enter the data that must be printed on the card or entered in the database linked to the card, and/or to be encoded. The information, defined in the card template, will be entered from a specific input window dedicated to this usage. This mode will be used by those responsible for the physical card printing, using the templates defined by the designer. There is also a third, more advanced mode: COM Server mode (Component Object Model) which allows a third-party program the ability to print and encode plastic cards, using eMedia-Cards CS as an expansion module. This mode is intended to be used by an application developer or solutions integrator. 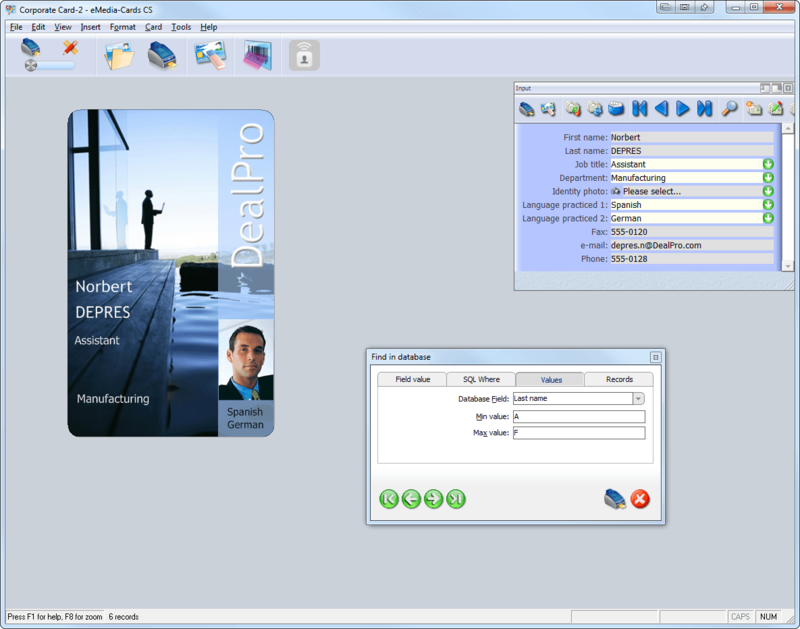 It allows the printout and encoding of plastic cards from a template defined in design mode using the third party program. eMedia CS2 software is available in three versions, Standard, Professional and Expert from only £90 ex VAT. For a full breakdown of the different versions, feature by feature, check out the comparison PDF here. To download a 30 day trial, absolutely free, click here. Call and discuss your requirements with our team!